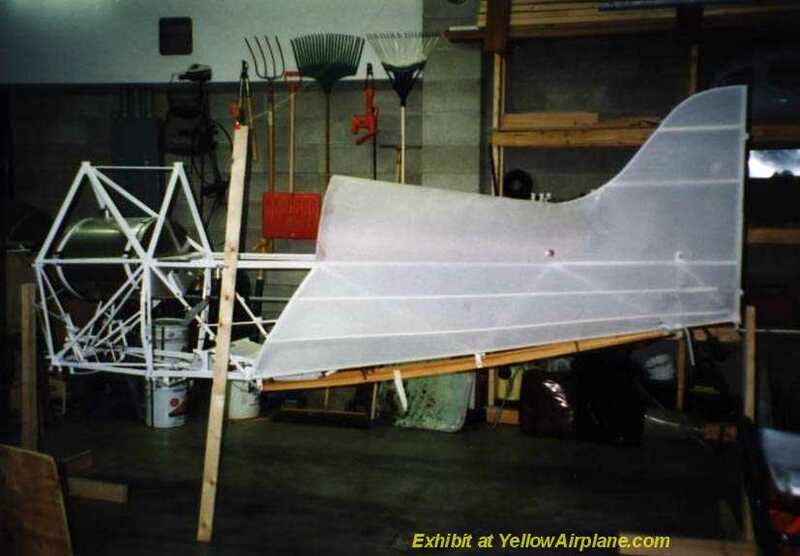 YellowAirplane.com: Now the Fabric is Being Installed on the Pitts Aerobatic Aircraft Fuselage. putting the fabric on his Pitts Aerobatic Aircraft Fuselage. So the very next batch of pieces I painted, I did them right. I sprayed on a very heavy coat of Aerothane (Thinned different than the book said to) and immediately went back over it with the second heavy coat. Stopped to get a drink, turned around and found all my paint running and dripping off my pieces and onto the floor. This never happened before. Could it be that the experts may have been wrong? Or was something wrong with the paint? I took some practice pieces and made a fresh batch of paint and tried to paint them like the book said and like I did on the first pieces. What do you know it worked perfect!!! It only took me a week to remove the botched paint job and reshoot it. The moral of this story is to mix and spray exactly like the manufacture says.